Washing our hands should be our first step every time we enter into the kitchen! Washing our hands is the best way to fight against germs and prevent foodborne illnesses. When washing our hands we can follow six simple steps to ensure that we are properly washing our hands. When scrubbing your hands for 20 seconds, you can sing "Happy Birthday" two times to ensure that you have scrubbed for a full 20 seconds thoroughly. Be sure that you have scrubbed your palms, the backs of your hands, in-between your fingers, your thumbs, your fingernails and your wrists. Turning off the water with a paper towel is essential to keeping germs from the faucet from getting back onto your hands and canceling out the hard work you have just done. 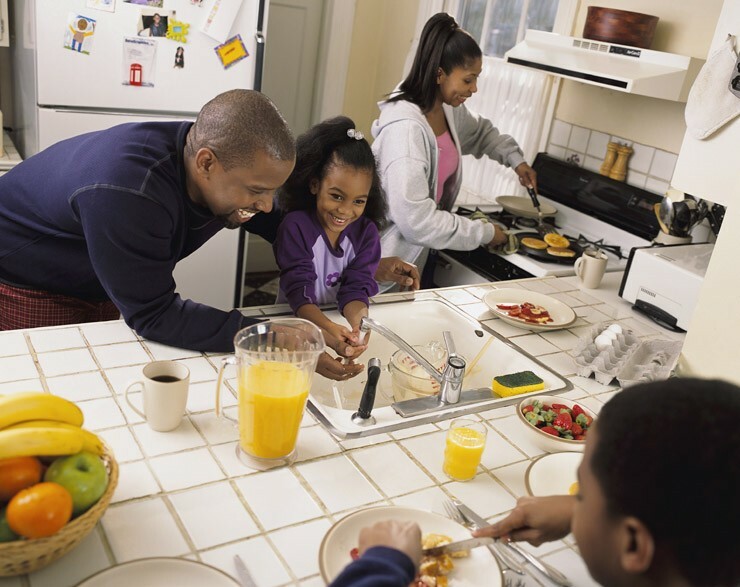 After washing your hands properly, you are free to begin cooking and preparing meals in a food-safe way!